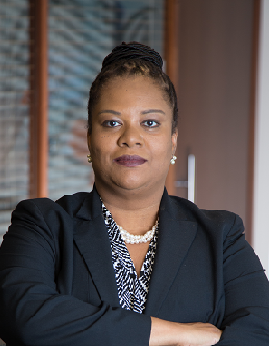 Dr. Underwood has an extensive background in academia and government, including a combined 15 years of experience in diversity and inclusion education, research and management within academia and government. She has served in the titles of Associate Dean of Academic Affairs and Policy, Assistant Dean of Student Affairs and Policy, and Chairperson of Doctoral Studies. Dr. Underwood credits her position in municipal government as the catalyst for a career focus in diversity and inclusion. As Director of Education and Training, her duties included functioning as a senior executive responsible for providing workplace diversity and inclusion consulting, planning and educational programming to a workforce of over 23,000 employees, sister agencies, universities and community colleges, and community organizations. Her responsibilities also included the management of workforce development initiatives, including educational programming design, curriculum development, marketing, funding, and program facilitation. Dr. Underwood’s service record includes leadership and advisory positions within several professional and community organizations. Her publications and presentations address diversity onboarding, diversity management, and supporting diversity within K-12 and higher education. Her research interests include critical multiculturalism and organizational diversity socialization in business settings. Her most recent research projects have focused on the infusion of diversity-related social events into curricula and the role of higher education in effectively developing social responsibility and citizenry. Dr. Underwood has earned her Ph.D. in Education at the University of Illinois at Chicago, MBA from the Illinois Institute of Technology, and Executive Certification in Strategic Diversity and Inclusion Management from Georgetown University. She possesses over ten year of higher education teaching experience and has earned the ranks of facilitator, adjunct professor, assistant professor and associate professor. She is highly skilled in teaching in face-to-face, hybrid, and online formats and has taught doctoral and graduate-level courses in diversity management, higher education administration, educational leadership, education law, consulting, and organizational behavior. Dr. Underwood proudly notes that she has been with UOP since 2009, starting her tenure as a Associate Faculty member in the School of Business.